A friend told me ‘it’s very up and down’ this section…. and it is. We arrived in Port Isaac on the local bus from Rock, having crossed the Camel Estuary on the ferry from Padstow. 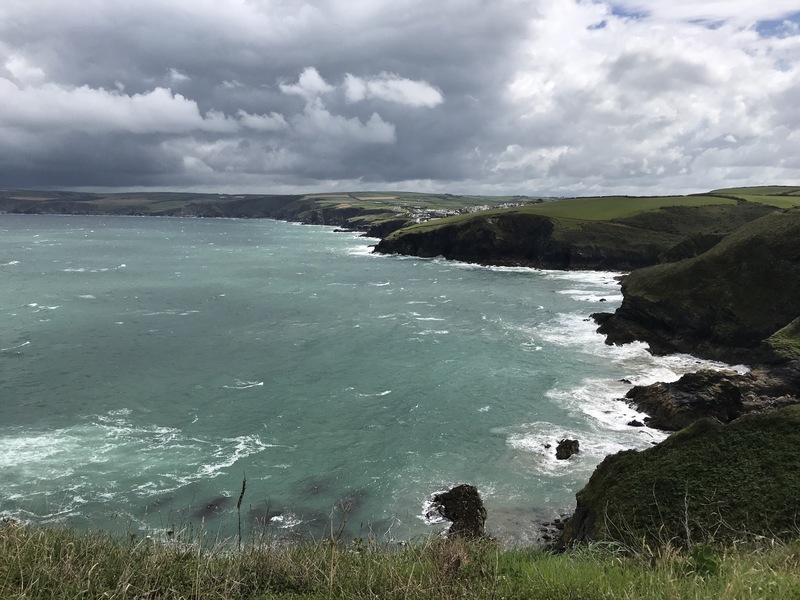 Port Isaac is the home of the ITV TV series Doc Martin and the local area was used to film the series. 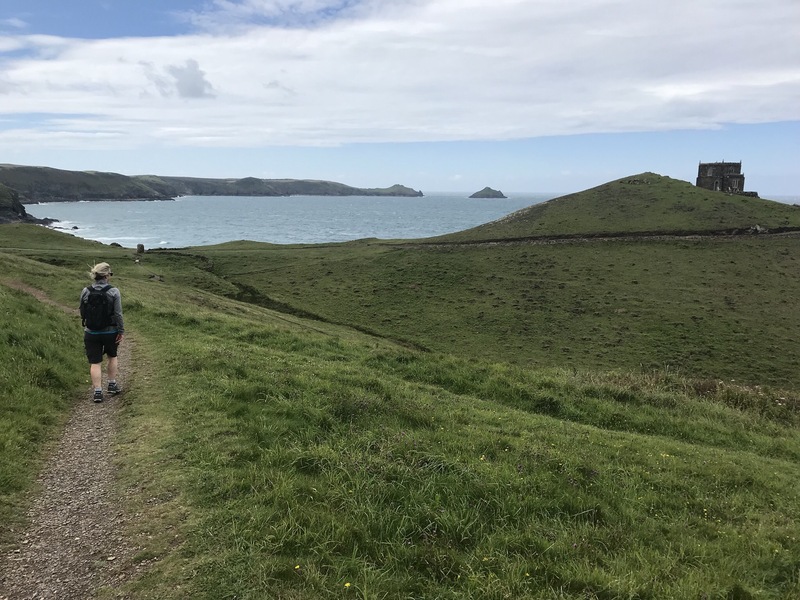 The coastal path we joined started at the harbour in Port Isaac below before ascending onto the headline… pretty easy so far. At the top of the headland sweeping views along the North Cornwall coast are lovely. This is where the costal path now descends and ascends with vigour. The paths are in good condition and the steps for climbing are very well maintained. It’s a tough walk along here so be warned, not technically ,but physically. You can always call the Port Isaac shuttle if needed ! Climbing out after Port Dulas you cross a National Trust property Doyden complete with its own castle. I am pretty sure you can rent this (house) to stay. Following the path you will come to Trevan Point overlooking a lovely beach. 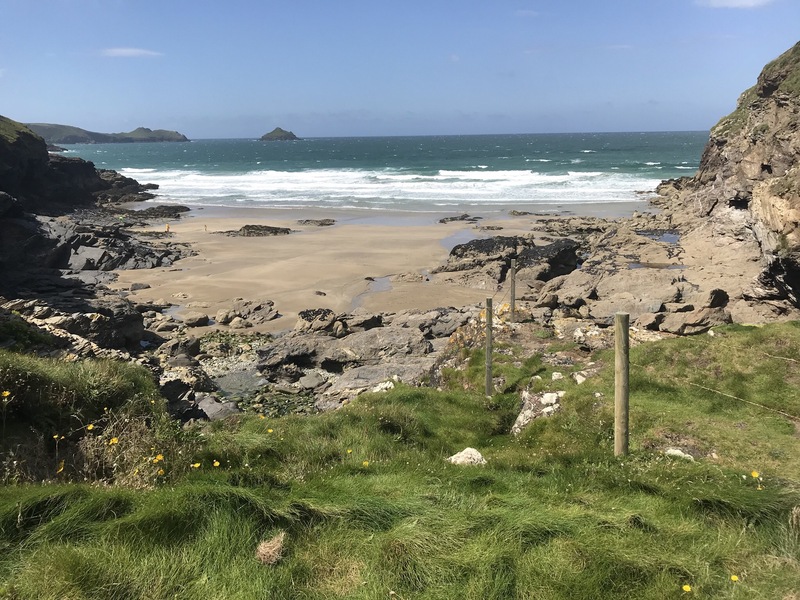 It’s only 30 min walk from Polzeath so can be popular in the summer. It’s lovely though. 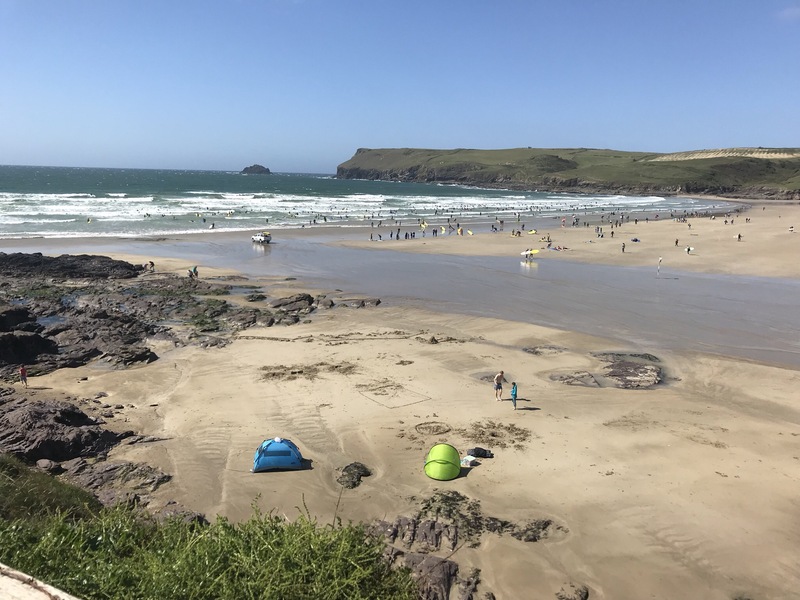 Eventually you arrive at Polzeath. It’s favourite haunt for surfers as the waves are good for all levels. It’s a lovely sandy beach and if you can stop at the Crab Shack on the headland .. very good crab sandwiches. After leaving Polzeath on the well surfaced path you arrive in Daymer Bay. If the tide is out you can walk all the way to Rock on the beach. It’s a lovely walk on firm sand mainly. 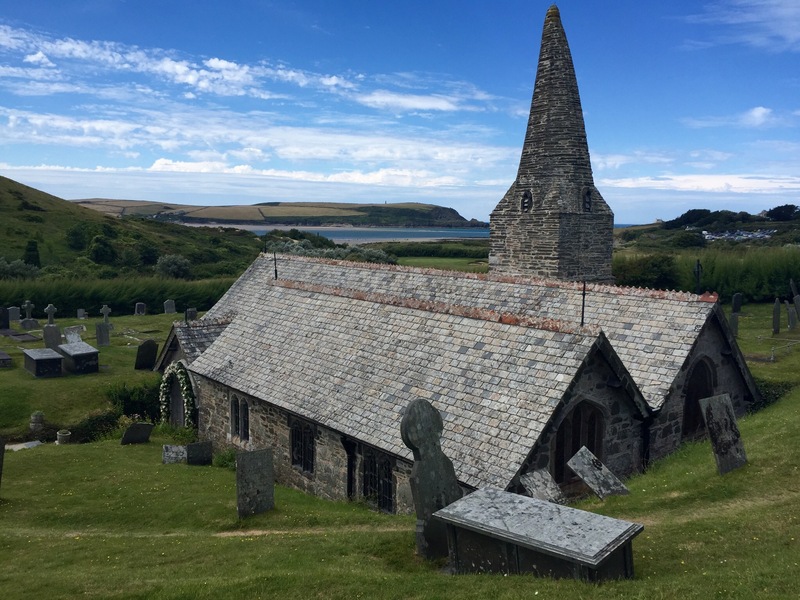 If you are interested in Poetry John Betjamin is buried in St Enoch’s church which sits at the back of Daymer Bay. It’s a 10 minute walk to the lovely church and well worth it. On arrival at Rock ferry station just jump on the boat and cross to Padstow.